Even though it’s only September and Autumn has just started, I feel SO EXCITED about Christmas and the cold Winter Season, which will be approaching us in 99 days! As Christmas only comes once a year, you have to make it special and put the effort in when buying presents or decorating the tree because you are creating wonderful memories! I personally think that when you are younger it’s all about the presents and the new toys you get, but as you get older, it’s about the smiles you put on other people’s faces and all the things you do together! This year, I am going to Norway for a week and spending Christmas with family. Norway is absolutely FREEZING in when it comes to the colder months, so I have to dress up really warm in heavy knitted jumpers and big Winter Jackets! 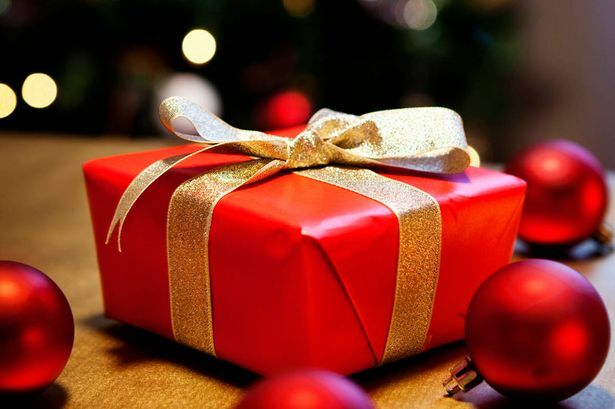 If you are going away anywhere nice for Christmas or doing anything special, make sure you tell me in the comments below, because I would love to hear! For Christmas this year, I would love to get a Huda Beauty Eyeshadow Palette, because Huda is a really great brand and she got some amazing products! I want to improve on my Make-Up skills because I want Make-Up to be something that I am really good at and even have it as a small career, for small parties or special occasions. I am really looking forward for Black Friday, which is one of the last days in November because they have amazing sale everywhere and that would be great for Christmas Presents! This year, I am on a mission to get amazing presents for my Mum, all decorated nicely with different wrapping paper and bows and everything! This post was just about to get the Christmas Spirit pumping all around and looking forward to this Special Occasion, which will be arriving in 99 days! Wrap up warm, start making your Shopping Lists and Enjoy Life!